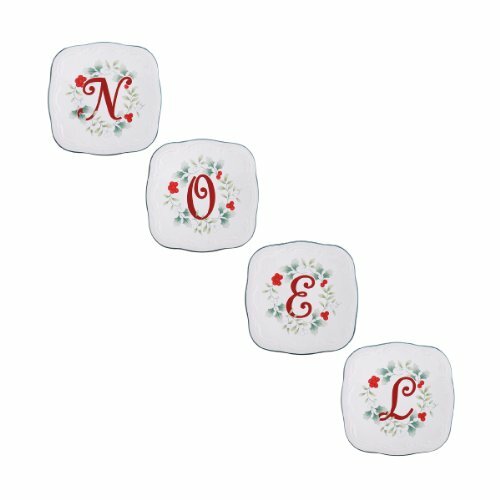 This Set of 4 Winterberry Round Appetizer Plates is perfect for hor d'ouevres, snacks or late night treats. Microwave and dishwasher safe. Set of 4 appetizer plates, each measure 6 inches in diameter. Proceeds benefit non profit outreach for women and children in crisis. As fall turns to winter, bright holly berries make their appearance, and the Pfaltzgraff Winterberry collection is the holiday classic that brings this timeless motif to life in elegantly sculpted dinnerware and serveware, beautiful glassware, and joyous giftware. 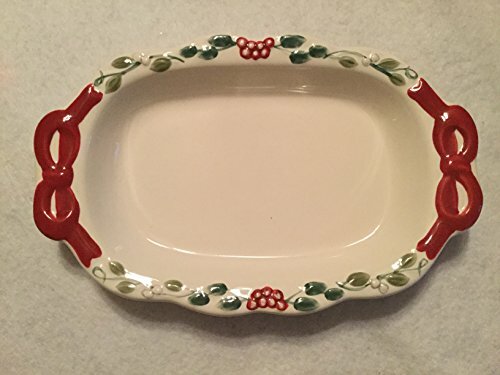 This delightful Winterberry serving tray is made of dolomite and features scalloped edges and a little sled to hold toothpicks when serving appetizers. Perfect for everyday use, and also great for casual entertaining. The high quality dolomite clay construction is both beautiful and durable. Create your ideal table setting with a full range of coordinating Winterberry dinnerware and serveware. This product is microwave safe and dishwasher safe. As fall turns to winter, bright holly berries make their appearance, and the Pfaltzgraff Winterberry collection is the holiday classic that brings this timeless motif to life in elegantly sculpted dinnerware and serveware, beautiful glassware, and joyous giftware. 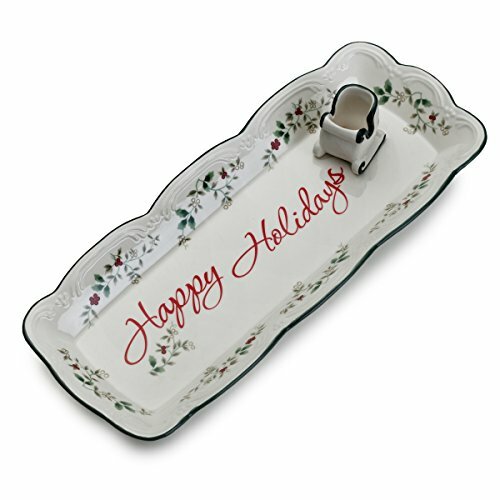 This 2-section serving bowl features a traditional holiday pattern with a cardinal holiday icon on top. 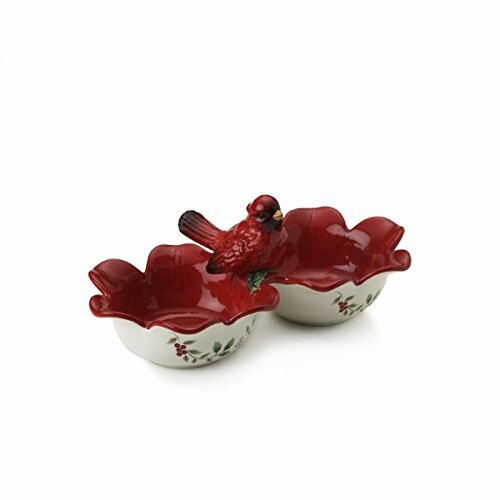 This adorable bowl is perfect for serving different flavored butters, spreads or dips. Also great serving candies, mints, or nuts. Timeless design complements any holiday decor and is ideal for both formal or casual holiday dining and entertaining. This product is not dishwasher safe. Hand washing is recommended. 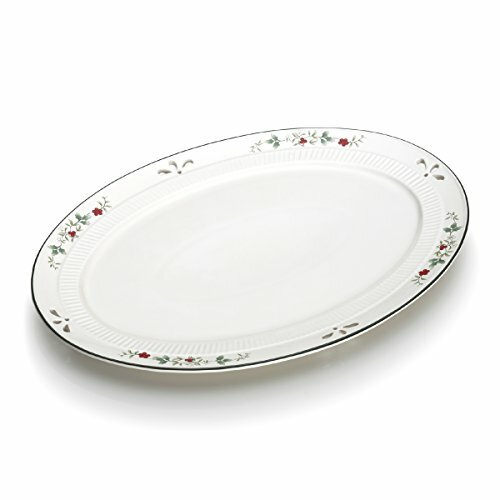 Add a seasonal touch to your home décor with this Pfaltzgraff Winterberry Oval Platter. This festive platter features decorative pierced elements and brightly painted holly berries. The platter is constructed from durable, high-quality stoneware. The platter measures 15-3/4 inches across. The platter is safe for use in the microwave. This product is completely dishwasher safe for easy cleanup. Winterberry is the holiday classic that brings this timeless motif to life in elegantly sculpted dinnerware and serveware, beautiful glassware and joyous giftware. 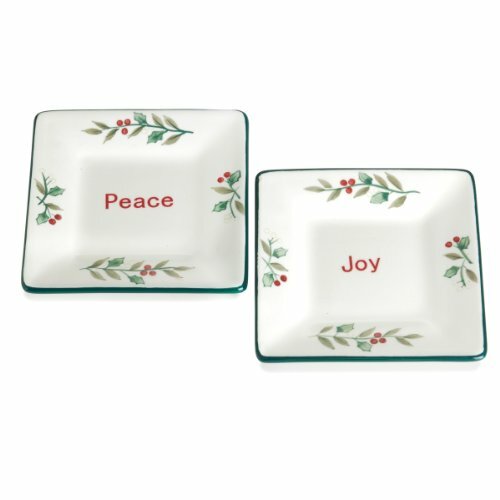 These cute little handpainted plates will bring -inchpeace-inch and -inchjoy-inch to your holiday celebrations. 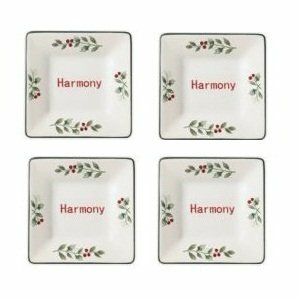 The perfect plate on a buffet, for hors d'oeuvres or desserts. 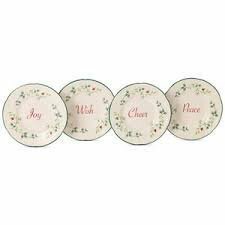 They will definitely accentuate the positive...a pleasing setting to your serving style. The Winterberry appetizer plates are dishwasher safe, and goes great with other Pfaltzgraff Winterberry pieces like dinnerware sets, dessert bowls and more. 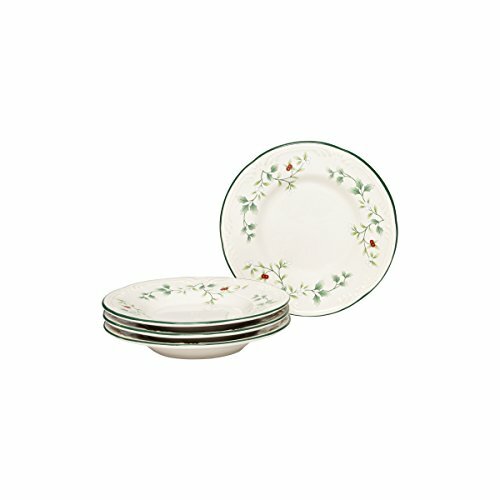 Appetizer plates are 5 1/2-inch dia. x 4 3/4-inch high. Looking for more Winterberry Appetizer Plate similar ideas? Try to explore these searches: Memory Foam Mouse Mat, 20 Natural Iron Compass, and Heavy Duty Electronics Enclosure. Look at latest related video about Winterberry Appetizer Plate. Shopwizion.com is the smartest way for online shopping: compare prices of leading online shops for best deals around the web. Don't miss TOP Winterberry Appetizer Plate deals, updated daily.